After 1994 South Africa introduces policies and strategies, and created institutions intended to improve information about training needs and opportunities. These institutions were intended to plan for skills development, to radically expand the training available in workplaces- especially for previous disadvantaged people and to improve the quality of formal education and training aimed at preparing learners for work (White Paper for Post-school education and training, 2013:56). Foremost, TVET Colleges must prepare their students for employability; work experience plays an essential role in this. It provides students with an understanding of the nature of the workplaces in their chosen field of training and builds their capacity to apply their college learning in the context of real workplace operations. The Office Administration National Certificate (Vocational) Level 4 from our five respective campuses were identified to participate in the Workplace- Based Experience learning (WBE), supported by Department Higher Education and Training (DHET) under the watchful eye of Swiss-South African Cooperative Initiative (SSACI). 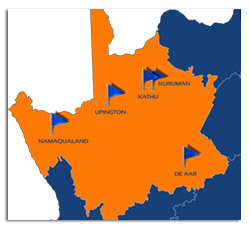 88 Students were successfully placed and reported for duty on Monday, 29th of June 2015 until Friday, 03rd of July 2015 (5 working days) at various host employers throughout the Northern Cape Province. A shortage of workplace knowledge and experience is a huge stumbling block for graduates entering the wold of work. Workplace- Based Experience learning (WBE) provides workplace-relevant social and communication skills, which enable students to effectively and productively add value to the workplace upon completion of their studies. Northern Cape Rural TVET College would like to thank the Student Support department for managing these placements, the students for their commitment towards their education and salute the host employers for their contribution towards quality education in South Africa.